Gerald Jay Sussman (born February 8, 1947) is the Panasonic Professor of Electrical Engineering at the Massachusetts Institute of Technology (MIT). He received his S.B. and Ph.D. degrees in mathematics from MIT in 1968 and 1973 respectively. He has been involved in artificial intelligence research at MIT since 1964. His research has centered on understanding the problem-solving strategies used by scientists and engineers, with the goals of automating parts of the process and formalizing it to provide more effective methods of science and engineering education. Sussman has also worked in computer languages, in computer architecture and in VLSI design. Sussman is a coauthor (with Hal Abelson and Julie Sussman) of the introductory computer science textbook Structure and Interpretation of Computer Programs. It was used at MIT for several decades, and has been translated into several languages. Sussman's contributions to artificial intelligence include problem solving by debugging almost-right plans, propagation of constraints applied to electrical circuit analysis and synthesis, dependency-based explanation and dependency-based backtracking, and various language structures for expressing problem-solving strategies. Sussman and his former student, Guy L. Steele Jr., invented the Scheme programming language in 1975. Sussman saw that artificial intelligence ideas can be applied to computer-aided design. Sussman developed, with his graduate students, sophisticated computer-aided design tools for VLSI. Steele made the first Scheme chips in 1978. These ideas and the AI-based CAD technology to support them were further developed in the Scheme chips of 1979 and 1981. The technique and experience developed were then used to design other special-purpose computers. Sussman was the principal designer of the Digital Orrery, a machine designed to do high-precision integrations for orbital mechanics experiments. The Orrery was designed and built by a few people in a few months, using AI-based simulation and compilation tools. Using the Digital Orrery, Sussman has worked with Jack Wisdom to discover numerical evidence for chaotic motions in the outer planets. The Digital Orrery is now retired at the Smithsonian Institution in Washington, DC. 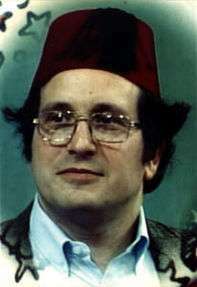 Sussman was also the lead designer of the Supercomputer Toolkit, another multiprocessor computer optimized for evolving systems of ordinary differential equations. The Supercomputer Toolkit was used by Sussman and Wisdom to confirm and extend the discoveries made with the Digital Orrery to include the entire planetary system. Sussman has pioneered the use of computational descriptions to communicate methodological ideas in teaching subjects in Electrical Circuits and in Signals and Systems. Over the past decade Sussman and Wisdom have developed a subject that uses computational techniques to communicate a deeper understanding of advanced classical mechanics. In Computer Science: Reflections on the Field, Reflections from the Field, he writes "...computational algorithms are used to express the methods used in the analysis of dynamical phenomena. Expressing the methods in a computer language forces them to be unambiguous and computationally effective. Students are expected to read the programs and to extend them and to write new ones. The task of formulating a method as a computer-executable program and debugging that program is a powerful exercise in the learning process. Also, once formalized procedurally, a mathematical idea becomes a tool that can be used directly to compute results." Sussman and Wisdom, with Meinhard Mayer, have produced a textbook, Structure and Interpretation of Classical Mechanics, to capture these new ideas. 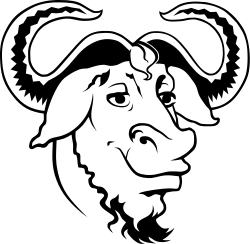 Sussman and Abelson have also been a part of the Free Software Movement, including releasing MIT/GNU Scheme as free software and serving on the Board of Directors of the Free Software Foundation. For his contributions to computer-science education, Sussman received the ACM's Karl Karlstrom Outstanding Educator Award in 1990, and the Amar G. Bose award for teaching in 1991. Sussman, Hal Abelson, and Richard Stallman are the only founding directors still active on the board of directors of the Free Software Foundation (FSF). Sussman is a fellow of the Institute of Electrical and Electronics Engineers (IEEE), a member of the National Academy of Engineering (NAE), a fellow of the Association for the Advancement of Artificial Intelligence (AAAI), a fellow of the Association for Computing Machinery (ACM), a fellow of the American Association for the Advancement of Science (AAAS), a fellow of the New York Academy of Sciences (NYAS), and a fellow of the American Academy of Arts and Sciences. He is also a bonded locksmith, a life member of the American Watchmakers-Clockmakers Institute (AWI), a member of the Massachusetts Watchmakers-Clockmakers Association (MWCA), a member of the Amateur Telescope Makers of Boston (ATMOB), and a member of the American Radio Relay League (ARRL). These twenty video lectures by Hal Abelson and Gerald Jay Sussman are a complete presentation of the MIT's SICP course, given in July 1986.